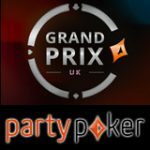 Start qualifying online for the Party Poker WPT Fallsview 2015 with exclusive prize packages only available from the official sponsor PartyPoker. The WPT Fallsview Poker Classic tournament takes place at the legendary Fallsview Casino Resort which overlooks the Niagara Falls in Canada. Players can qualify for free through the daily WPT freerolls or by buy-in to the satellite tournaments or WPT Steps Challenge which run 24/7. 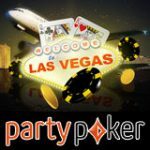 Win a prize package to the WPT Fallsview Poker Classic through PartyPoker worth $6,500 which includes cash for travel to the breathtaking Niagara Falls in Canada. 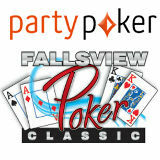 The live poker tournament is scheduled for February 13-15 at the popular Fallsview Casino Resort. 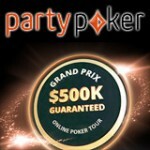 Qualify for the Party Poker WPT Fallsview 2015. 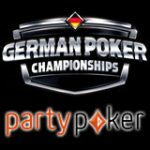 PartyPoker are running exclusive satellite tournaments for the Party Poker WPT Fallsview 2015, players can buy-in at any level including through the qualifiers listed below. Prizes: 1x WPT Fallsview Satellite Qualifier ticket for every $50 in the prize pool. 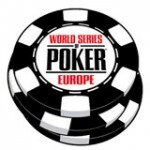 Prizes: 1x WPT Fallsview Satellite ticket for every $500 in the prize pool. Prizes: 1x WPT Fallsview package guaranteed additional packages for every $6,500 in the prize pool. Prize package winners are responsible for arranging their own travel and any documents required to get to the Fallsview Casino Resort at the Niagara Falls, Canada. 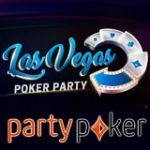 Any winners who fail to make the live poker event will be counted as a no show and their buy-ins will be added to the prize pool of the Party Poker WPT Fallsview 2015. The Fallsview Casino Resort has a legal age restriction of 19 years old, this promotion is only available to players who are older than the age requirement.